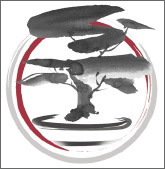 I am very excited to announce details of Bonsai Week 2019 at the NBPCA. The event will run over the final week of March next year (25-31 March 2019). Feature artists are Heike van Gunst and Sandra Grlica, both from Germany. Heike van Gunst was born in 1966 and loved plants since she was a little child. She got interested in bonsai when she saw a bonsai tree for the first time, it was placed in the shop window of a furniture store for decoration. In 1981, at the age of 15, Heike started growing bonsai from seed and collected raw material, studied all bonsai textbooks and magazines she could get. When she got her driving licence, she visited the meetings of a local bonsai club and took bonsai lessons. 2005 Heike van Gunst joined the German Bonsai-Fachforum in the internet and soon started writing articles for that forum. In 2007 she founded her local Club „Bonsai-Arbeitskreis Hamburg & Umland“ and subsequently started exhibiting trees and giving little demonstrations and lessons now and then. Among her favorite bonsai teachers are Walter Pall (GER), Kevin Willson (GB) and Othmar Auer (IT). Since 2013 Heike van Gunst has been writing for Bonsai Empire and for the German BONSAI ART magazine. She has translated a number of bonsai textbooks and many articles from several European languages into German. On some occasions Heike translates demonstrations of international bonsai artists. Since 2016 she is the chief editor of the German BONSAI ART magazine. Her private bonsai collection contains about 100 trees, most of them medium and small sizes, both imported and native species. "She became fascinated with bonsai by seeing a simple garden center bonsai as a child. It was the combination of nature and art that immediately piqued her interest. She read everything she could get on the topic and soon it was clear, that bonsai is a difficult practice, which requires a lot of patience and knowledge. At the age of fourteen she finally decided to start her journey by saving up and buying her first bonsai. Since then, Sandra studied many bonsai books, practiced for years through trial and error and finally joined a local bonsai club. There she received a very warm welcome and could finally exchange experiences and ideas with other enthusiasts. After the first year Sandra decided to specialize in the field of very small trees - mame and shohin - which respective sizes are up to 10 cm and 25 cm. 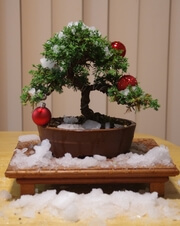 that she wants to work with bonsai in a more serious way, to expand her knowledge and bonsai collection. skills and techniques. Therefore, she decided to join Mauro's intensive bonsai school week in 2013 and 2018.
and to gain another experience level. In 2017, Sandra represented Germany in a international demonstration at the great penjing show in Rugao, China. she had to find a way to style the tree, without harming it's health condition and prepare it for a better future. Now she is looking forward to Bonsai Week in Australia, it's native trees, their characteristics and challenges. Furthermore, she am happy to get in touch with the local bonsai scene." For the full schedule and further details, please see the attached flyers. Note to self, take time off work and book in early! Hi, yes there are workshops. If you are a lender, donor, volunteer you may nominate for a free workshop. From all nominations we will randomly draw the lucky winners of a participation spot. If you are a member of a club, you can ask your club to nominate you for a chance to win a workshop place. Sorry, here is the link to all the information. Bookings are now open for the Friday events. When will the workshop nominees be told if they heve a workshop spot or not?